I made something that I think you are going to love. You ready for it? 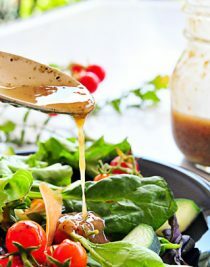 Bacon Vinaigrette. Oh yeah, and it is ah-maz-ing! 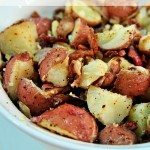 It has all of the rich tangy flavors you expect with a vinaigrette combined with the smokiness I love from bacon. I do not believe I’ll have mine any other way for a long, long while. And did I mention that it is easy as pie to make? Yeah, well, it’s actually a ton easier than pie, but you get the point. 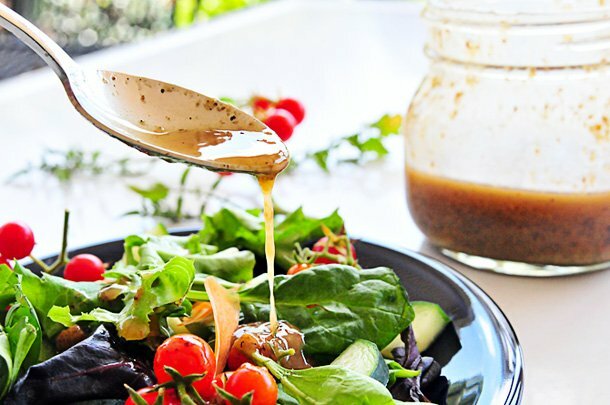 My Bacon Vinaigrette adds so much flavor to a salad and it gets rave reviews from my husband, so I’d say it is a keeper of a recipe for sure. I do prefer to serve it warm or at room temperature for the full flavor. 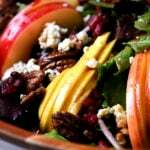 To store it, pour into an airtight container and place in the refrigerator. Prior to serving, heat in the microwave for about a minute or so at 20 – 40% power, depending on your microwave. You can also simply add it to a sink full of hot water for a little while to completely warm prior to serving as well. 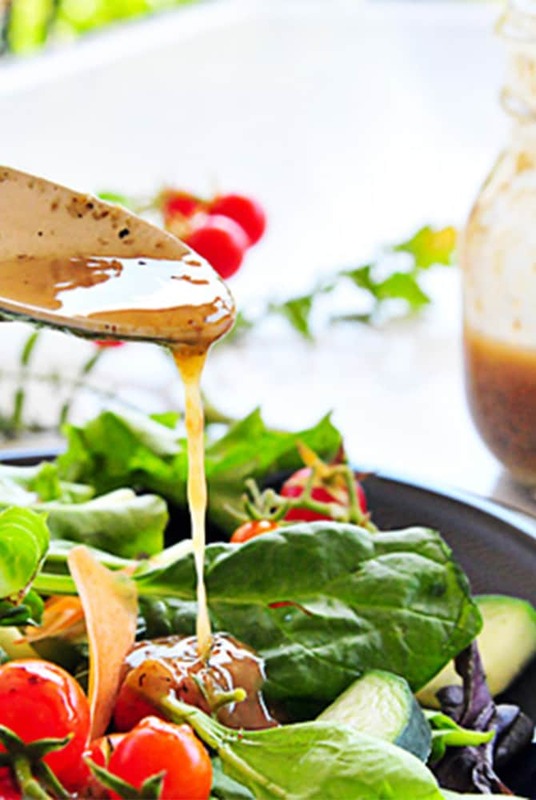 Bacon Vinaigrette combines that tangy flavor you expect from a vinaigrette with the smokey flavor of the bacon. It will quickly become a favorite. Add diced bacon to a medium skillet or sauce pan over medium heat. Cook until crisp. Remove bacon from pan and set aside. Add stone ground mustard, honey, garlic, and salt and pepper to the bacon dripping. Combine well with a whisk. Add apple cider vinegar to the pan, whisking to combine as pouring. Continue to whisk until the vinaigrette has thickened slightly. Add bacon bits back to the vinaigrette, if desired. 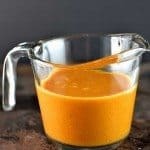 Pour into a jar that has been warmed under hot running water prior to adding the hot vinaigrette to prevent the container from cracking. Wow. Just wow, Robyn, this sounds utterly amazing! Thanks! I keep trying to think of new salad combinations I can drizzle this stuff on for each meal. I’m addicted. Salivating over this dressing, Robyn! Bacon truly makes everything better and I’m guessing this is pretty darn addictive. Addictive is the perfect world, Dara. 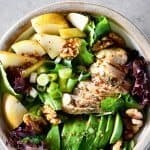 I’m loving it on everything from salads, to chicken to fresh sliced avocado. Oh my Robyn- you are killing me! This looks so good. Yes!!!! I’m such a bacon addict! Love everything about this dressing!! I want it now…on my eggs…for breakfast!! This sounds so good……..love anything bacon!!!! Can’t wait to make this. Thank you for sharing….. 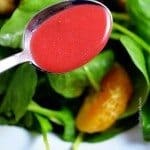 I used to work at a steak house that had the most amazing bacon vinaigrette, unfortunately, I never cracked the secret recipe, but your version looks pretty close. Lovely photos, Robyn! 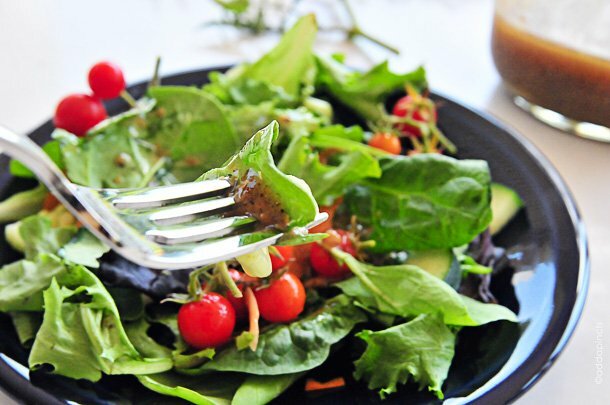 I adore bacon vinaigrette!!! I have an old family recipe for it, but I don’t want to dig it out 😉 I think I’ll just make yours! Robyn – you slay me… this recipe is seriously so genius! Can’t wait to try it! Trying it for a dinner party. Sounds like a perfect accompaniment to a prime rib dinner. I hope you enjoy it! So good! Thanks! This is delicious! I made it without any changes, and used it as dressing for a baby Yukon gold potato salad tossed with the leftover bacon and a bit of fresh scallions and nothing else. I am also going to try it served over some grilled green beans or asparagus also tossed with the leftover bacon. Vera, thank you for those excellent suggestions! Sounds wonderful. Sometimes instead of spinach I use Spring Mix with sliced eggs, walnuts, Crasins, sliced red onion, sliced green apple, and sliced avocado. 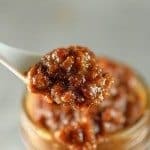 I add extra honey, and always double the recipe so I can have some for several days. I used the food processor for the garlic and cooked bacon. Is this calling for stone ground prepared mustard, or stone ground mustard powder? I am going to try it on roasted brussel sprouts!